Since July 2014, Russian authorities have been conducting a disinformation campaign together with the media they directly and indirectly control with the aim to cover up the truth about who shot down Malaysian Airlines Flight MH17 over eastern Ukraine. But time is beginning to run out. 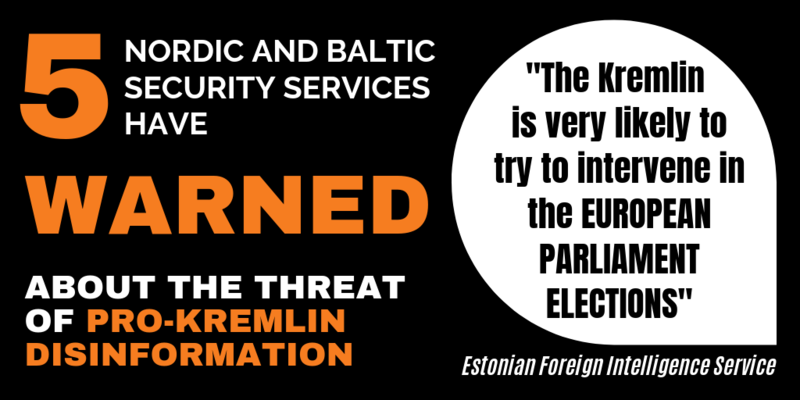 Both official investigators and an international community of journalists have been able to systematically neutralise the series of smokescreens laid out by the Kremlin to distract our attention from the truth. New facts have now been added to an already overwhelming body of facts, allowing the very last pieces of the MH17 jigsaw puzzle to find the places where they belong. 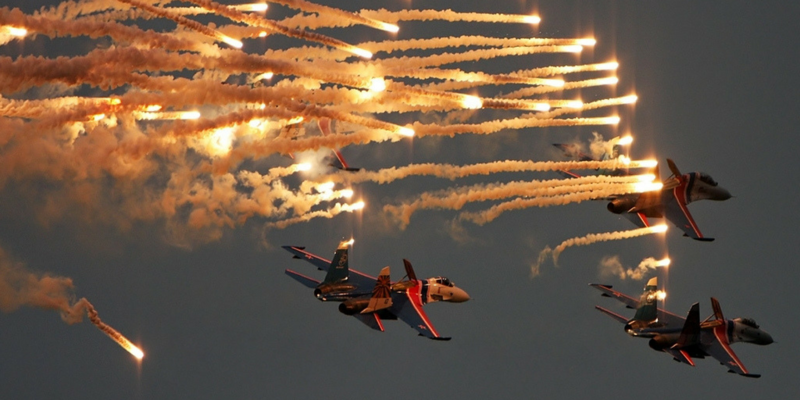 If under pressure, the Kremlin will always try to confuse by popping out multiple lies like decoy flare. But as the MH17 case shows, this technique only buys time. Last week was a big week for everyone who wants truth and justice to prevail in the tragic MH17 case. On Thursday, the international Joint Investigation Team (JIT) presented findings proving that “all the vehicles in a convoy carrying the missile were part of the Russian armed forces” – more precisely, the investigators had found that the missile had come from the 53rd anti-aircraft brigade with base in the Russian city of Kursk not far from Russia’s border with Ukraine. On Friday, an international team of investigative journalists presented findings, which for the first time beyond reasonable doubt reveal the identity of an officer in Russia’s armed forces carrying direct responsibility for the incident. The suspect, who had until Friday only been known by the aliases ‘Orion’ and ‘Andrei Ivanovich’, was identified as Oleg Vladimirovich Ivannikov, born on 2 April 1967, a commander in Russia’s military intelligence branch GRU. Bellingcat’s article describes in meticulous detail the open source investigation carried out by the international team of journalists, which was centred around telephone conversations, in which ‘Orion’ e.g. talked about a Buk surface-to-air missile system and plans to start “shooting down [Ukrainian military] planes” just a few days before MH17 was downed. 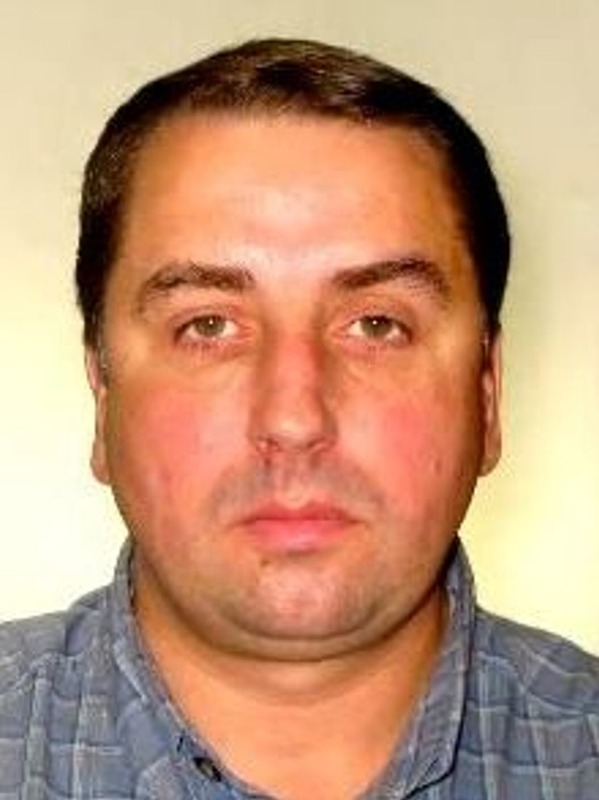 The suspect Oleg Vladimirovich Ivannikov. According to the independent journalistic investigations he is a commander in Russia’s military intelligence branch, GRU. Image: Bellingcat. It is worth noting that the facts about Russia’s 53rd anti-aircraft brigade as the origin of the missile that shot down MH17 have long ago been publicised by same international group of journalists which on Friday presented the identity of the Russian GRU officer. 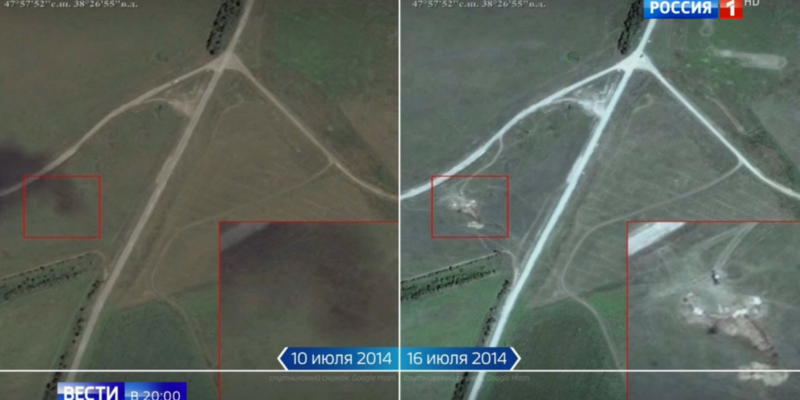 As a matter of fact, all essential data, which has been presented by Bellingcat and the group’s international partners over the past years, has later been confirmed by official investigators. This adds extra credibility to the new journalistic findings and serves as a reminder of the power held in the hands of modern open source investigations, carried out by civil society actors. The Kremlin has been unable to debunk any of the findings that were presented last week by investigators and journalists. President Putin reacted by referring to the alleged existence of “several versions” explaining what happened, i.e. the very disinformation smokescreens that have now successfully been picked apart. No less tellingly, the Kremlin’s official propaganda outlet Sputnik chose to run their story with the headline, “‘We’re Not Ready Yet’: What MH17 Investigation Won’t Discuss” – a classical piece of disinformation with its manipulative attempt to suggest that the investigators have not reached clarity and to throw suspicion on them for somehow conspiring to hide facts from the public eye. Since the day MH17 was downed, Russian authorities and pro-Kremlin outlets have been spreading disinformation about the tragedy. In December 2017, two new falsehoods were presented on Russian state TV. Last week also became the week when leaders in the international community decided for the first time to hold the Russian state formally responsible for the crime, which killed 298 innocent civilians, among them 80 children. On behalf of the European Union, High Representative Federica Mogherini called on Russia “to accept its responsibility” in a statement echoing a joint statement presented on the same day by the governments of the Netherlands and Australia, in which “both countries hold Russia responsible for its part in the downing of flight MH17”. Also others followed suit, including the United States and NATO. With its communications accounts dramatically overdrawn due to excessive use of disinformation, the Kremlin now faces the international community’s resounding call to “fully cooperate with all efforts to establish accountability”. Already by last summer, pro-Kremlin outlets had disseminated seven different smokescreens to cover up the truth. 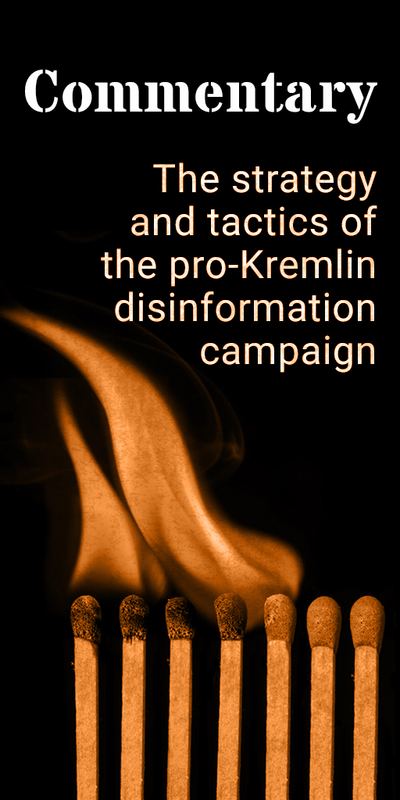 In December, two additional disinformation narratives were added by Russian state media. In March this year, the true identity of a “Carlos, the Spanish air controller”– the centerpiece in one of the most important disinformation narratives – was discovered by investigative journalists. In total, EU’s East Stratcom Task Force has collected more than 60 disinformation cases mentioning Flight MH17.